Bobsleigh is an event in the Winter Olympic Games where a two-or four-person team drives a specially designed sled down an ice track, with the winning team completing the route with the fastest time. 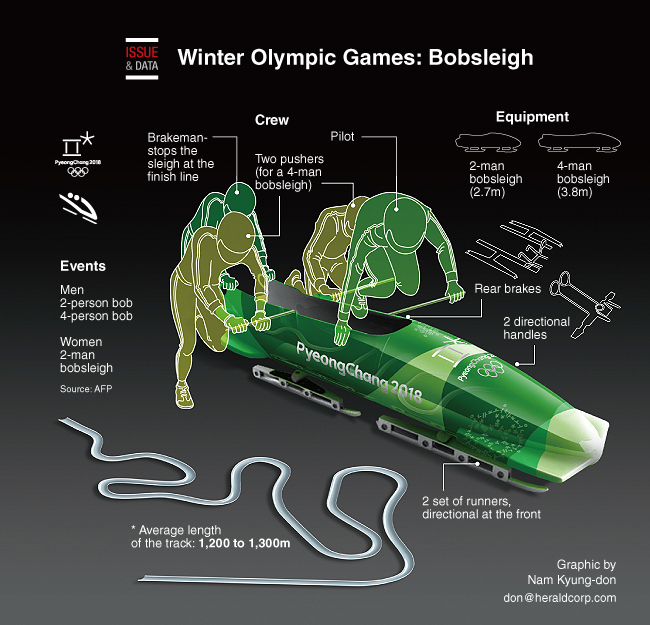 For bobsleigh, the track length is 1,200 to 1,500 meters long with an average slope of 8 to 15 percent while the curve radius is minimum 20m. The bobsleigh reaches an average maximum speed of 135 kilometers per hour.